Our Real Estate Professionals Program gives all real estate professionals including residential and commercial agents, brokers, leasing managers, and appraisers, special discounts on closing gifts for their clients! Join us today and surprise and delight your clients with a personalized gift! Personalized client gifts such as an address stamp make moving into a new home more "real" for your clients. Seeing something with their new address on it is a special feeling! They are a mix of emotions on closing day, but receiving such a thoughtful gift from their real estate professional will make the whole process just a little sweeter. At Hello World Paper Co. we offer a unique experience for your clients! 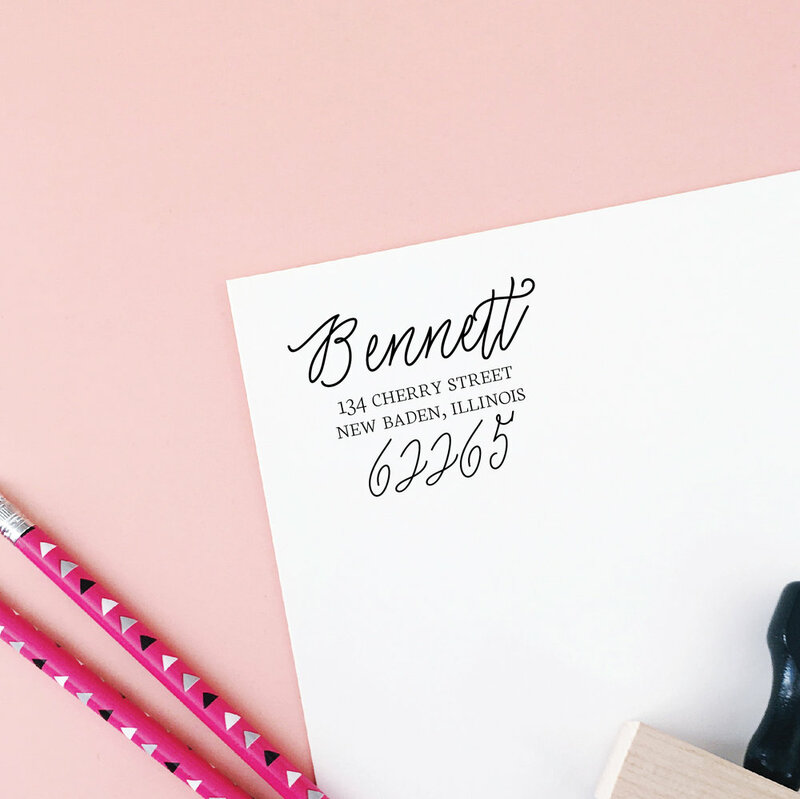 We have personalized address stamps that will make their new house feel like a home. Each stamp is made in our studio in Illinois on our industrial strength laser engraver! We then inspect each piece to make sure it is exact to your specifications. Once the stamp is done, we can wrap it up and ship it to you or ship it directly to your client! If you choose our FREE drop shipping services you can also mail us your business card or other marketing materials to include with your gift! Sign up is easy! If you would like to join us and get up to 25% off the retail price everyday plus special promotions and incentives just for real estate professionals, then please fill out this form and we will be in touch soon!